Sample shown using Ivory stock. 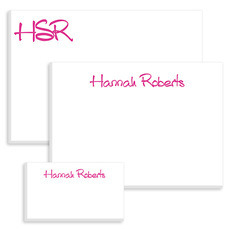 Sample shown using White stock. 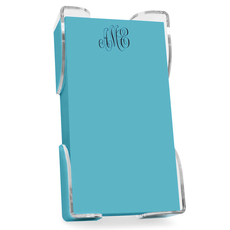 An embossed wardrobe which includes 25 letter sheets, 25 notes and 25 enclosures with 75 matching envelopes. 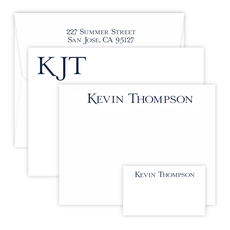 Embossed return address and optional envelope linings available on envelopes for letter sheets and 5" x 4" notes. Select your stock color. 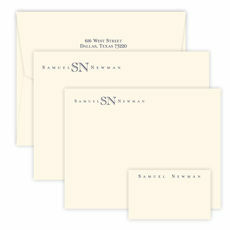 Letter sheets are 6.2" x 9"; notes are 5" x 4" and enclosures are 3.5" x 2". Lettering format only as shown.